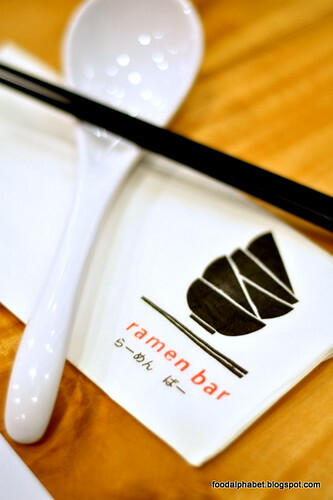 The Food Alphabet and More: I love Ramen Bar! Ramen goodness in a bowl at Ramen Bar! So many ramen places popping up in the metro, you just can't figure where to go right? But of course, we take note of where to find worthy and great tasting authentic ramen places without leaving a big dent on your wallet, and Ramen Bar is definitely on that list. 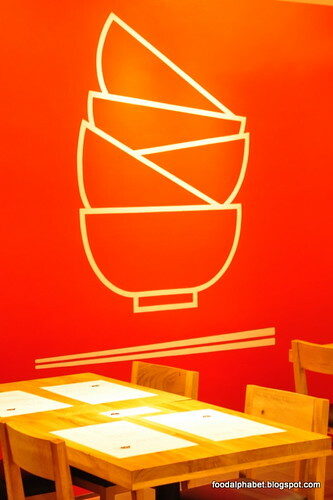 A ramen place here, a ramen place there, wow they're like mushrooms all over and more are opening as days go by, but we at The Food Alphabet loves Ramen Bar, not just because it serves up real good ramen, but it's also a nice place to unwind with friends and family. Ramen bar also has delightful appetizer treats that is unique to them other than serving the usual Gyoza, they do add a little twist in what we are usually are familiar with and here are some of their creations. 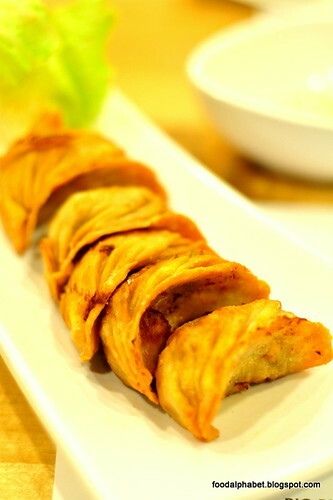 Cheese Gyoza (P180), Cheese infused pork gyoza fried to a crisp, not your ordinary pan fried gyoza, but these are crisp and good, talk about the melted cheese and also try their Chicken Karaage (P155), where you dip in a salt-pepper grind mix, just like the ones you have when eating pigeons at Chinese restaurants. 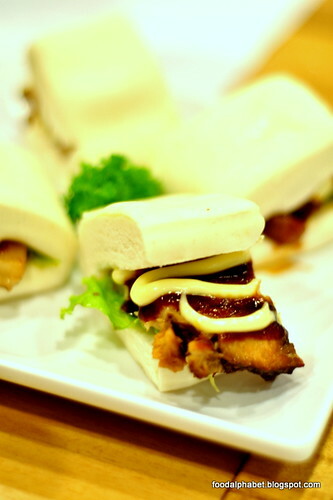 Kakuni Buns (P, sliced pork asado in buns with lettuce, a mix of mayo and hoisin sauce, makes indeed a perfect bite for the hot ramen soup coming up. 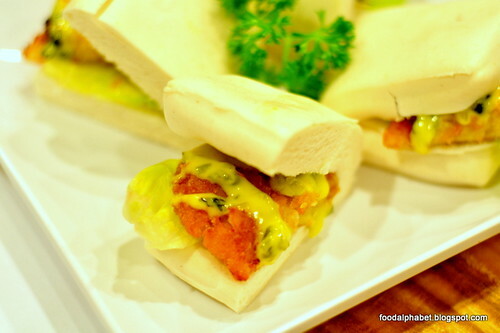 These small plates surely don't disappoint, have some or better have more! 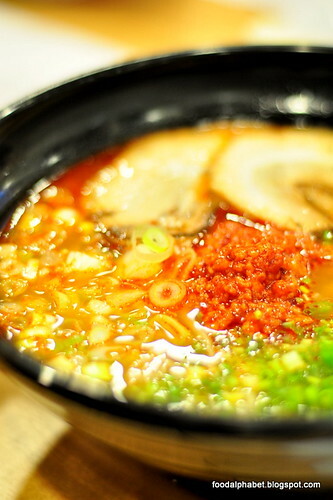 Now on the what Ramen Bar is all about, their piping hot tasteful ramen. 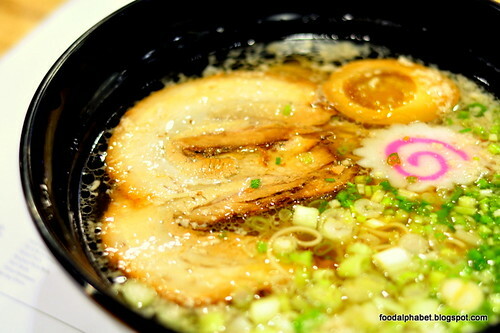 Shoyu 2.0 Ramen (P280), an upgraded version of the original Shoyu Ramen. Just like software which upgraded to the new version, Shoyu 2.0 is indeed that upgrade that we need, with tasty chasyu, topped with tamago, naruto and negi with salt infused Tonkotsu Ramen. I just love how this soup broth tastes! Rich tasting, as the leeks just brings out the flavor with every sip of hot soup. Kakuni King Ramen (P380), if you love kakuni then this will be definitely be on top of your palette, with generous servings of meaty kakuni topped with tamago over soy infused Tonkotsu ramen, it's a must for every meat lover out there. It delights me to say that even though Ramen Bar is purely born here in the Philippines, it does not lose out to Japanese-based ramen places that opened in the metro. 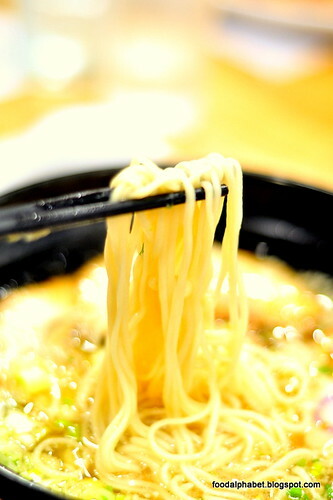 Their noodles are so firm and tasty to the bite, every strand seems to pack with flavor and you'd know it was made with love for ramen. 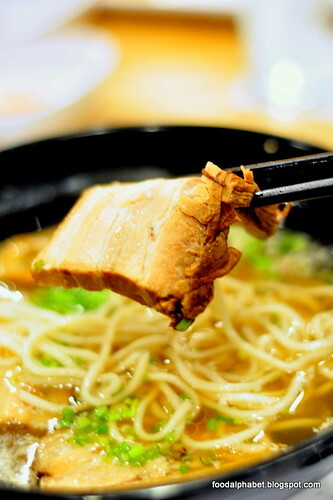 Take a bite into their ramen, and know why Ramen Bar is the choice of many ramen aficionados in the metro. Want some spice, then venture into Bikkuri Ramen (P380) territory, miso based broth with chili and minced pork, with chasyu and a bit of attitude. Yeah this baby will bring out the steam in you, have a sip and you'll be back for more. 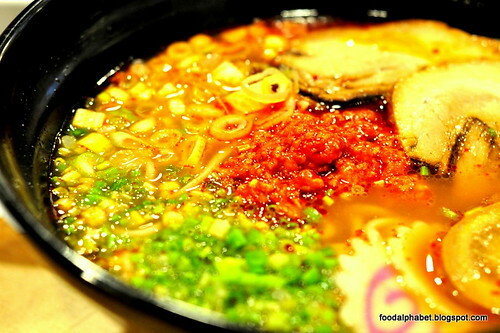 Find out more about Ramen Bar by visiting their Facebook page, enjoy great flavor rich ramen, at a quarter of the price. It's great to hear that you enjoyed Ramen Bar. I had a different experience. Best Food Forward back on it's 3rd year! Jawbreaker day 8!!! Coming at you! 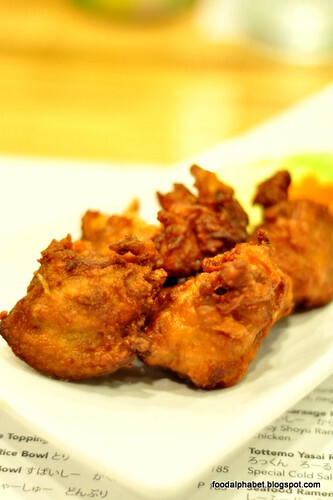 Get ready for Foodgasm - Taking that second bite!